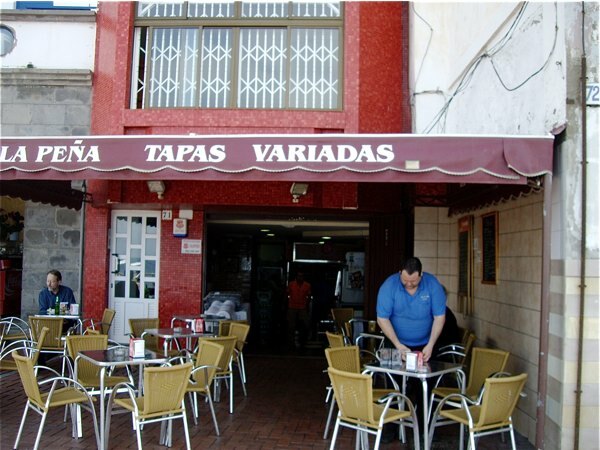 Just a stone's throw from the famous Canteras beach in Las Palmas de Gran Canaria you can order tapas at La Peña. We did, and enjoyed the traditional stuff at ridiculous prices and with a view from our table to die for. 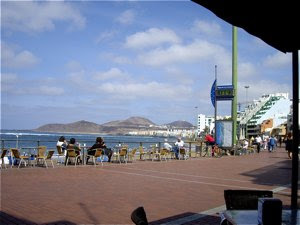 The Canteras Beach is located in the middle of Las Palmas de Gran Canarias. As you sit down at La Peña, you have this European Coapacabana in sight. We were on a day trip to town, and discovered how far it was to walk from the bus station and took a taxi cab in order to get back. For you planning to stay in Las Palmas, you'll find it easier to get to this small tapas restaurant. My advise is to go there for the view and the food. La Peña is not the place with buckets of charm and a great interior. If you are looking for a romantic spot to indulge in bite-sized foods, do some research. I'll bet you'll find restaurants better than this. The interior is basic, to say the least, and the staff does its job, nothing more nothing less. 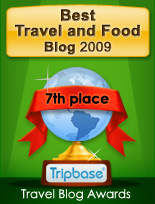 The good thing was that we did not have to wait long to get our food, and that was superb!! 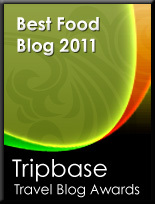 Tapas is, in its original form, no-nonsense foods, made from simple and honest ingredients. Whereas modern cooks has developed the tradition in all directions (often successfully), we were served the truly genuine stuff at La Peña. We were served Patatas Bravas with with spicy mayonnaise, cheese, and croquetas de jamon (ham). And this was seriously genuine Spanish food, made from exquisite ingredients and well seasoned. Mild, and we asked us, young local cheese? We were served a young cheese, soft and crumbly. 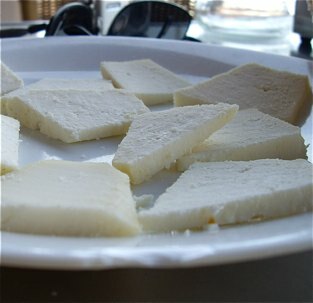 we were not told what variety, but it neither tasted nor looked like a traditional manchego, and very mild in taste. Patatas bravas is a classic Spanish tapa found on the menu on nearly all tapas restaurants. We have been served patatas bravas in Oslo, as well as Barcelone, but those at La Peña were served with a twist. We were served whole small, bite-sized Canary potatoes with shells. The shell gave a delicious crunch as we were biting into them before we hit the creamy, tender, moist stuff inside. 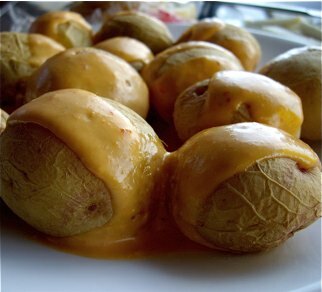 Delicious and very hot mayonnaise was the perfect contrast to the mild taste of the potatoes. 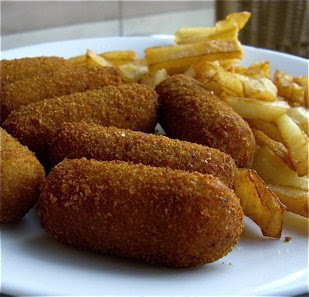 I have written on the Spanish delicacy countless times already, as I simply luv, even adore Spanish croquetas. The ones served at La Peña were no exceptions. Deep brown, mouthwateringly crunchy crust and tasty, soft creamy, ham flavoured stew inside, a revelation to the pallet. No fat on fingers as these had been properly dried on kitchen paper. Aside we were served a generous portion French fries as well, just to drive us to high-carb ecstasy summit. And we ordered even more carb to drink, as nothing is as refreshing, soothing, as a cold pint to beer. What food, what drink, what view!!! These are the words to describe La Peña. Not much to talk of on service, ambience or comfort, but the food and location drives this tavern to a level close to highly recommendable. Here you get the real tapas and they taste divinely.